ZatzWorks produces creative and beautiful stabilized images of Alaska. 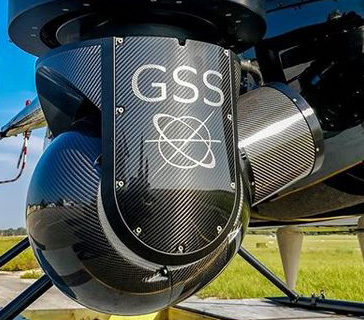 Our HD to 8K camera systems are the best in the business, and our turbine helicopter is rigged and dedicated to Alaska aerial production. Zatzworks just added the first Phantom VEO 990 high-speed camera as an option in our GSS gimbal ! We can now shoot 1000 fps at 4k without ever removing the card or needing to land. ZatzWorks has also just added the first Rain Spinner for the GSS. We can now keep the pictures beautiful even wet weather! We have the entire package in-house, including GSS and Cineflex, and the cost savings is phenomenal. 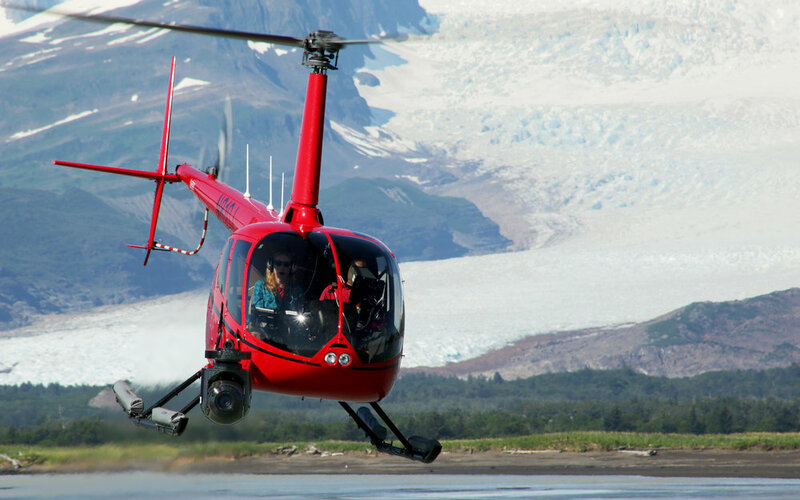 With four Emmy Awards and twenty seven years of Alaska field experience, nobody does Alaska aerials better and more efficiently than ZatzWorks. 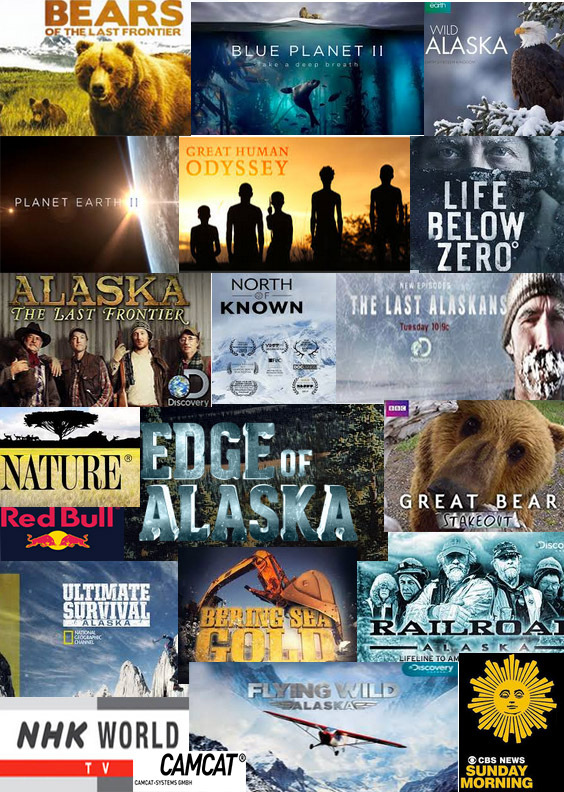 ZatzWorks gives our clients access to our enormous HD to 8K library of Alaska scenic and wildlife footage. Use ZatzWorks for your aerials and then add a few of our stock shots to make your program look like a million bucks. The Best in the Business are using ZatzWorks to Capture Alaska. Our regular clients include the BBC, Discovery Networks, National Geographic, and many of the companies providing content to these networks. We also create commercial, theatrical and documentary content for clients worldwide. With roots in the Southern California television market, we know the production world, and after twenty seven Alaska seasons, we also know the Alaska environment– including weather, wildlife, people, and politics for getting things done in Alaska. We excel at Natural History, Reality, Commercial and Theatrical Production in Every Corner of Alaska. We live at the end of the road because we love Alaska, but our team is world-class in stabilized camera innovation. ZatzWorks developed the first upgrades to the Cineflex V14 and Elite to allow for swappable cameras, horizon fix, and a host of upgrades used throughout the World (see AgileCine.com). We also developed and manufactured the world's first FAA and EASA approved nose mounts for the R44 and R66 helicopters (ArcticBuilt.com). We COMPLETELY understand the equipment we are using on remote Alaska aerial shoots. With ZatzWorks, your camera operator is also a Cineflex and GSS parts designer, a repair technician, and even a helicopter pilot. We are truly prepared to work and complete your Alaska project– creatively, beautifully, on time and on-budget. Bringing gimbals back to life for Camcat at the 2018 Winter Olympics. "Finding an aerial D.P. is always challenging. Finding an extraordinary D.P. in Alaska with his stabilized camera and helicopter is nothing short of a miracle!" "The aerials you shot in the Arctic are amazing! "Just stunning! Excellent work Daniel. We'll be making a Sake toast in your honor tonight!" filmed as 4K-8K sequences from the ZatzWorks helicopter.